Apple has released iOS 12.1 and crammed inside the latest version of the mobile operating system are over 70 new emoji. 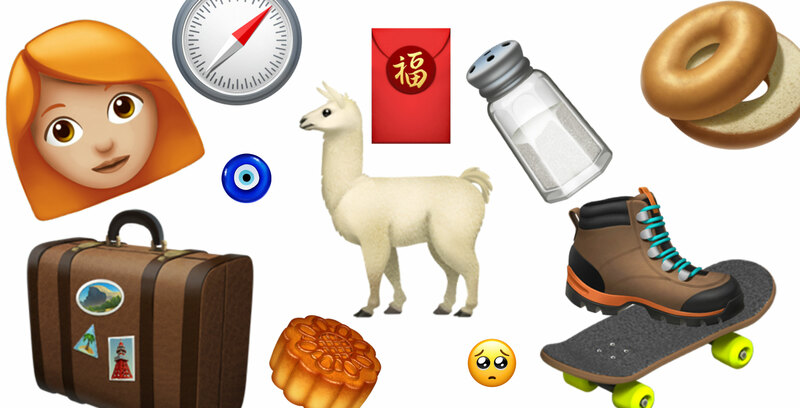 Apple teased the new designs during World Emoji Day, showing off icons representing llamas, swans, a suitcase, skateboards and more. Users running the latest version of Android, Samsung Experience or Twitter, are already able to view the new emojis, according to Emojipedia. This year 157 new emoji made their way into Unicode. Some have already been added to Apple’s operating system, but the final wave of the 2018 emoji are now available on iOS. Unicode is the standard for consistent encoding and representation of text across digital devices. It adds a code to represent every character ranging from simple letters to emojis. If the Unicode system to represent this maple leaf 🍁 is ‘X-12,’ for example, Apple, Google and other tech giants draw their interpretation of the design to represent that specific Unicode number. The new icons are part of emoji version 11.0, which is the next upgrade over version 5.0. The reason that the versions jump from five to 11 is to align the emoji version 12.0 with the Unicode Standard 12.0 in March 2019, reports Emojipedia. Once all of these emojis are added to iOS devices, users will be able to access a total of 2,823 approved symbols.